This romantically feminine V-neck long dress plays up a glorious maxi-style flair that will drape your curves with a seal of graceful elegance. The rich and colourful floral print looks fabulously summery, but you can also pair it up with cosy outwear staples when the chilly winds start to blow. Maxi dresses always win our hearts with their eclectic bohemian charm and free-spirited grace that makes us feel like a princess on the streets even on the most casual of days. 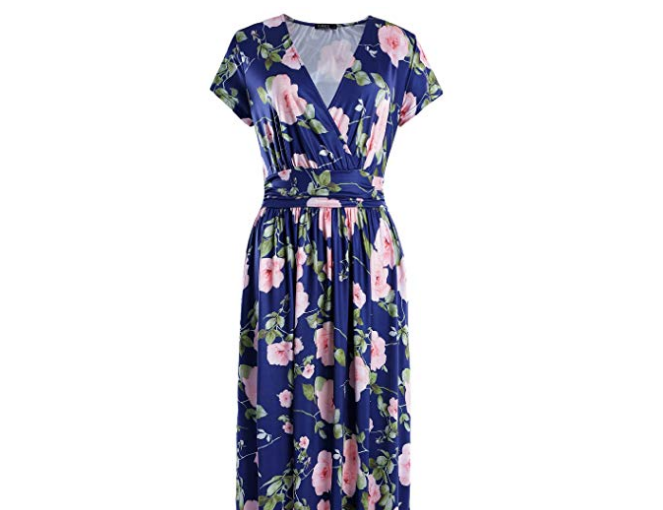 This V-neck long dress is a powerful symbol of feminine grace and artful sophistication with its serenely beautiful floral print and a plethora of gorgeous colour schemes and combinations. 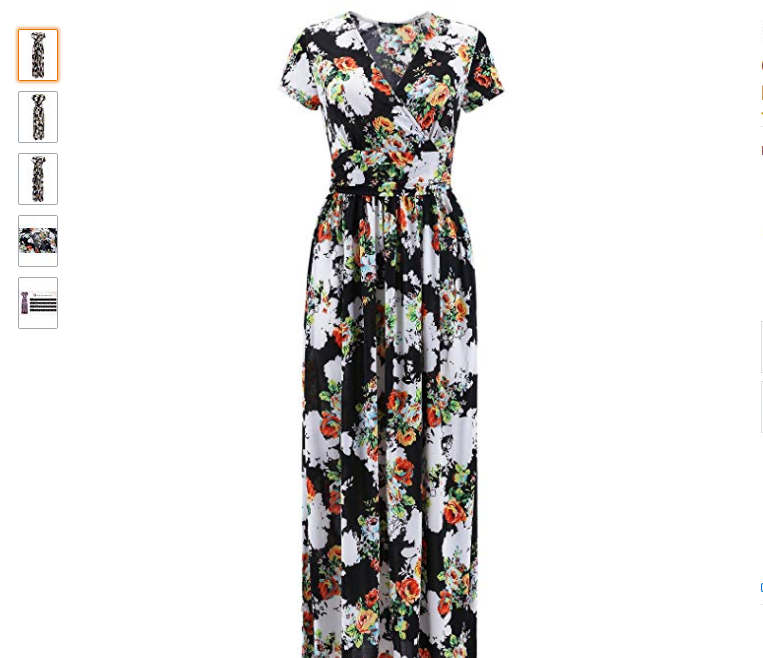 This long maxi dress plays up a V-neck wrap front with cap sleeves and a billowy flair that will give your curves a shapely appearance despite being comfortably flowy. On days when you simply don’t have the time to contemplate over outfit choices, just put on this delight and you’re good to go! The most exciting part about investing in this gorgeous V-neck long dress is the fact that you get to choose your pick from a spectacular variety of 16 amazing colour combinations and prints. Every single colour and print combination plays up a beautiful floral pattern blended with a plethora of serene and vibrant colours. Whether you like pink, apricot, red, green, scarlet, magenta, mauve or even blue, every woman gets a chance to find the colour combinations that she can flaunt with confidence. Size is another aspect that allows shopaholics to explore a wide range of variety. Whether you are a plus size beauty, apple shaped, pear shaped or even an hour-glass shaped goddess, you get to pick out sizes that range from extra small to 2X large. Fine quality tailoring and fabric is the most essential aspect of any fashion bargain, and if you’re a thrifty and mindful shopaholic, rejoice, for this gorgeous V-neck long dress is a token of fine tailoring and exquisite fabric. 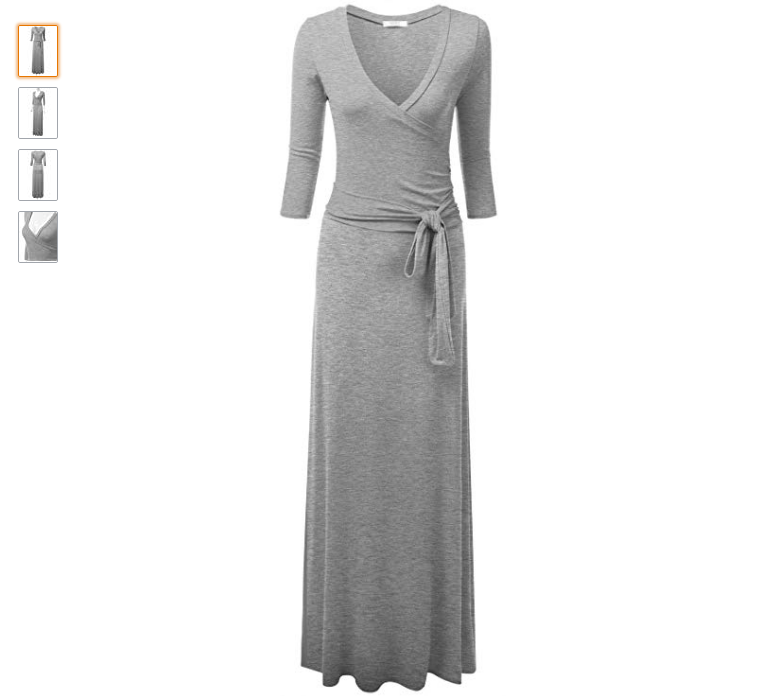 Made with 94% polyester and 6% spandex, this V-neck long dress will luxuriate your body with a gentle, feather-like touch, making it one of the most comfortable picks to drape your curves on a scorching hot, summer day. It also comes with a subtle stretch, which will give your curves a tantalising fit without being too suffocating. This amazing fashion bargains comes with a budget-friendly price tag that will range from $15-$32, depending on the sizes and colours you chose to buy. This V-neck long dress is a gloriously elegant outfit that can be worn anywhere and everywhere, be it a wedding reception, a formal black tie dinner, or a casual date in the park. You can pair it up with your denim jacket for a retro streetwear statement, and if you want to rock it at a fancy restaurant, pair it up with fancy ankle-strap heels, sleek sterling silver jewellery and a bold red lipstick. 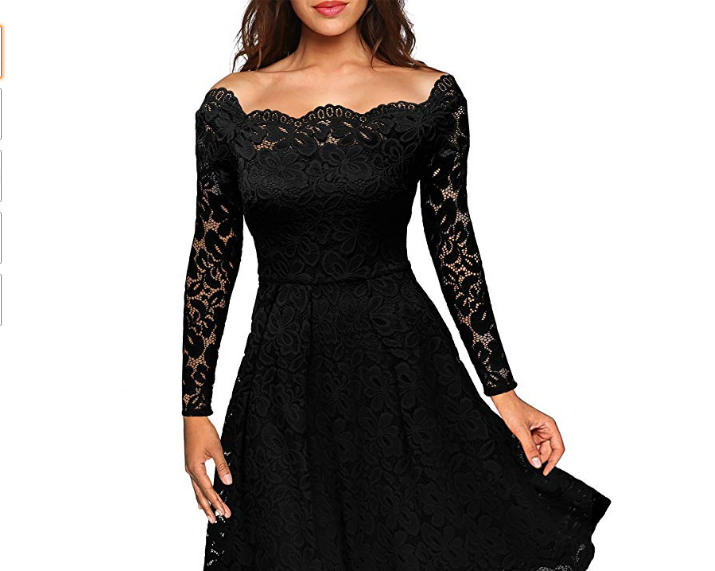 More Cheap Evening Dresses here.